Let’s Check More Fun for Daily Life!! Crapgadget vendor Brando is really selling this horrible umbrella. 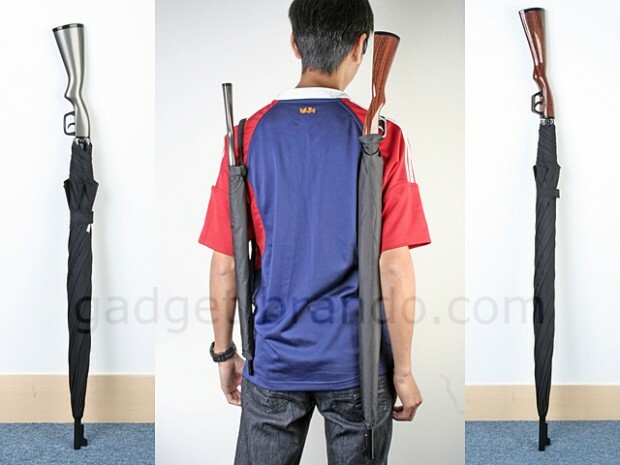 It includes a sleeve and the admit that “colors may be variant” but that shouldn’t stop you from bringing this umbrella to your local police station for a bit of suicide by cop thanks to the front stock and rifle barrel tip. It comes in two sizes, but you’re going to want the bigger one for $28.